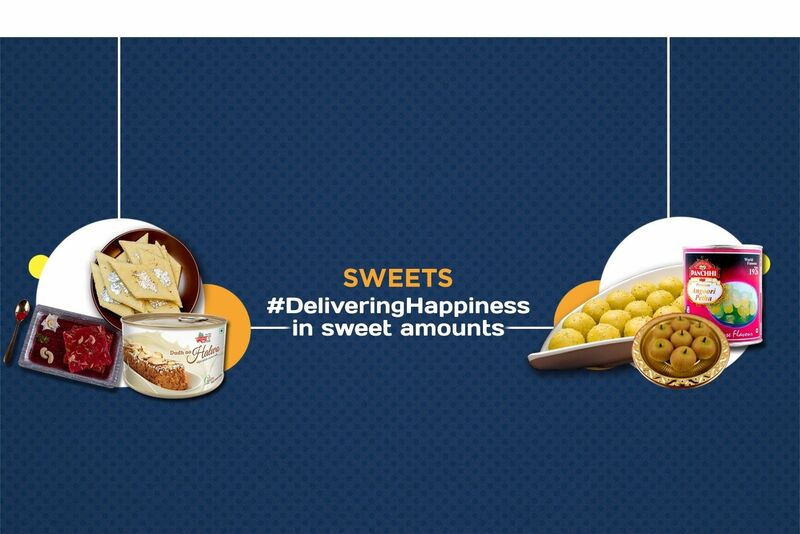 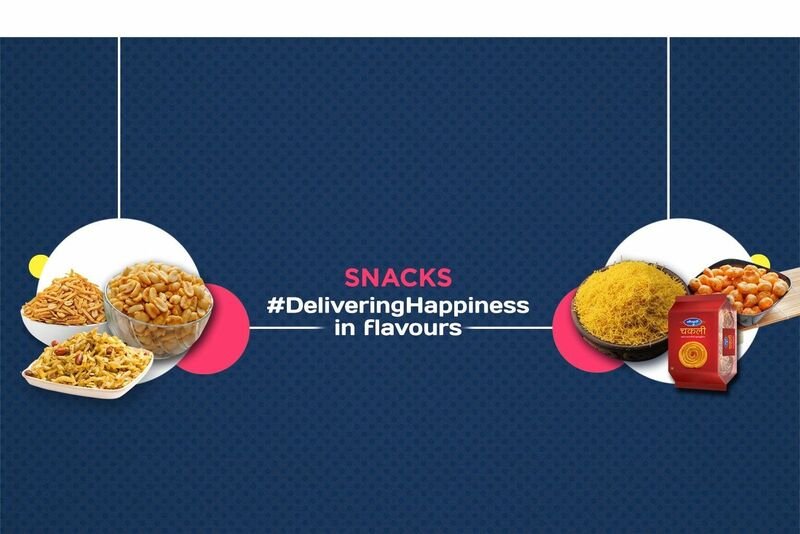 Buy Special Riceflakes Chiwda with Badam of Ramprasad Best Chiwda from Pune online | Authentic Indian Sweet , Savories and Delicacies from the place they originate by Moipot. 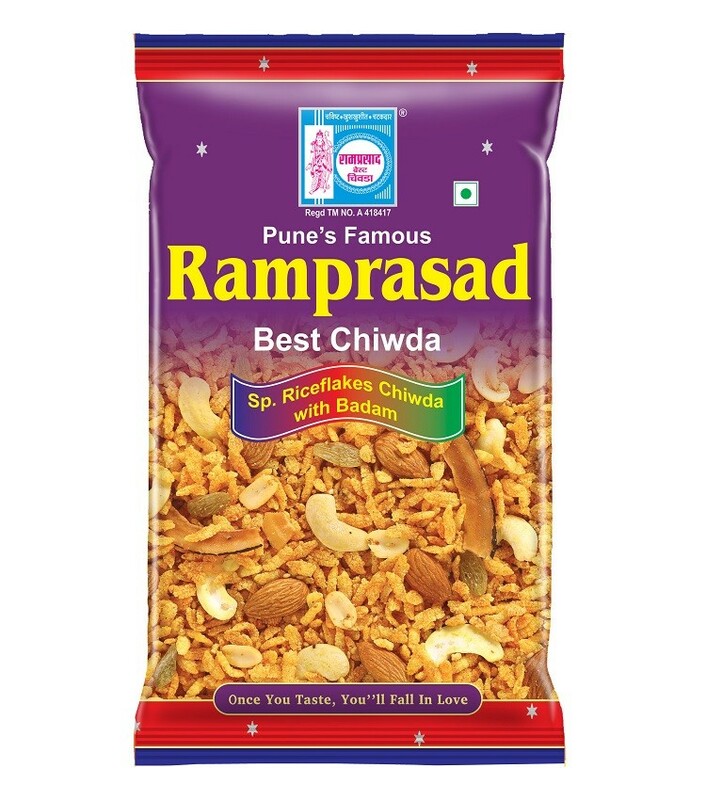 Ramprasad Best Chiwda's special rice flakes mixture is their classic and exotic version of snacks. 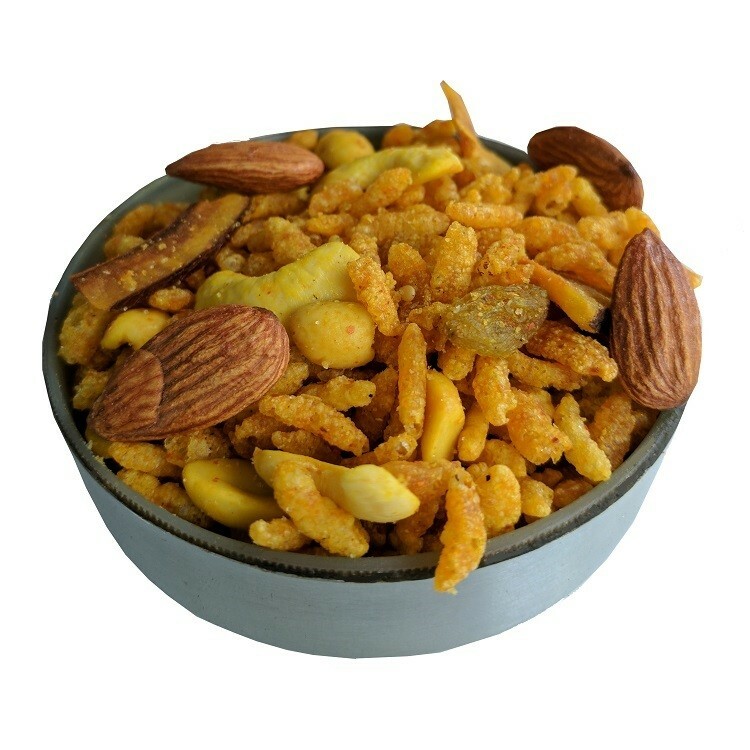 Delicious and mouth-watering, this chiwda is full of the crunchy goodness of almonds (badam) and handpicked dry fruits. 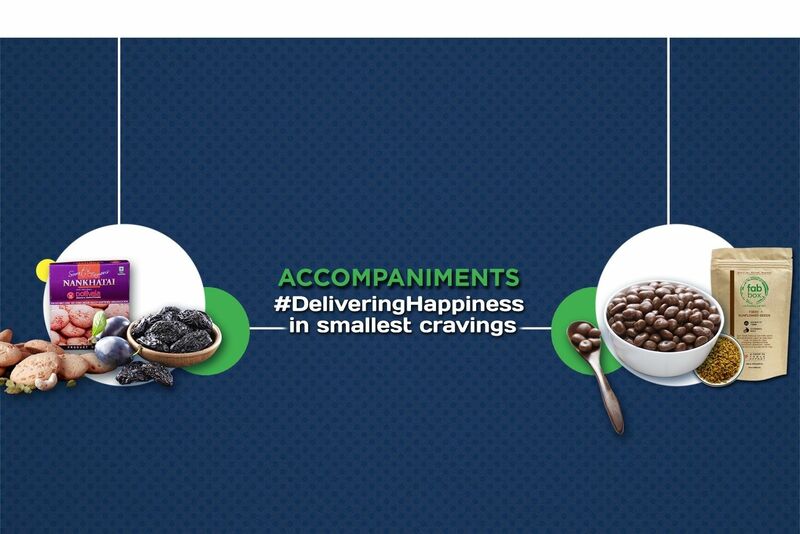 A perfect chai time accompaniment is prepared using beaten rice (poha) and perfect amount of spices that adds to the taste.